The Loft is a beautifully appointed modern first floor apartment, sleeping up to four in two bedrooms right at the heart of Mullion village, with the shops and pubs within easy level walking distance and the beaches are nearby too. 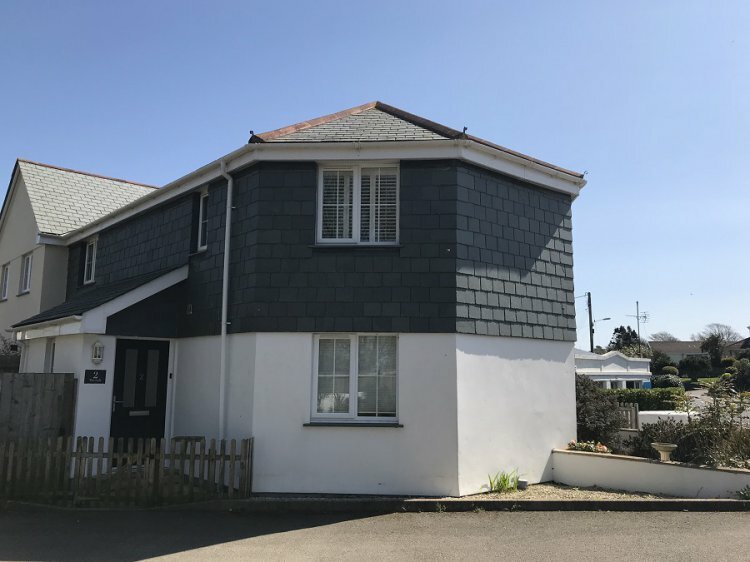 Just a couple of minutes’ drive takes you to sandy Poldhu beach with a car park and popular café, or you can walk there on the South West Coast Path with glorious sea views along the way. Mullion village itself has a range of facilities, there are convenience stores with fresh meats and baked goods, two pubs that serve great food, a pharmacy and more. The rest of the Lizard Peninsula is easily explored from here, the fabulous Cadgwith Cove with its fishing boats landing their fresh catch right on the shingle, or the sandy beach at Kynance Cove, one of the most photographed beaches in the world - both are less than 10 minutes away by car. The property has its own allocated parking space and is entered into a hallway with staircase that takes you to the landing with all rooms off. The living and dining room is a large, bright open-plan space and the windows feature wooden shutters. There’s a leather corner sofa, Smart TV with Freeview, DVD player and WiFi available throughout. The solid wood dining table seats up to four. The kitchen is well-equipped with fridge freezer, electric oven and hob with extractor over, washer/dryer, microwave, kettle and toaster. Bedroom one has a king-size bed with bedside tables and lamps, triple wardrobe and chest of drawers. Bedroom two has twin beds each with full size 3' mattresses and a chest of drawers. Outside is an enclosed patio garden which has a table and chairs, washing line and storage shed. Heating throughout is by modern electric heaters which provide ample amount of warmth throughout the year. Rental includes bedlinen, towels (please bring your own beach towels), electricity and parking. Regret no pets and no smoking.